Cozy Chicks: Will You Take My Poll? Will You Take My Poll? I and my friends, the rest of the Cozy Chicks, are always interested in what our friends and fans like to see on our pages. 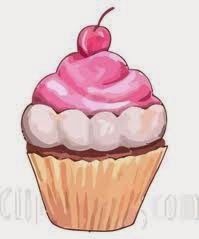 So today's post is going to be short and sweet like that cupcake -- and all about you! What do you most enjoy seeing on our pages? What don't you enjoy on our pages? I'm sure there are things I haven't thought of. I'm hoping you will share your feelings and ideas with us. We value your friendship and input. Have a wonderful, happy week. I enjoy reading about the new books, and any book reviews or lists of new books are always very welcome. More of this would be great. No complaints here either, I enjoy all of what y'all post. Shows you are just as human as the rest of us. I really do like when you are writing a new book that sometimes you open up a discussion about what direction the characters might go. Many post tips about the subject of their books (like flowers, cooking, crafts) I enjoy that too. And pics of your travels because you may go places I may never see in person. I enjoy the small town settings, and development of secondary, reoccuring characters, and pets. Don't like when those characters get killed off. New books, reviews, character discussion, I like it all. I love everything about the Cozy Chicks Blog and really look forward to each new post. One thing I would like to see *more* of is information about the Chicks' writing processes and details about writing cozy mysteries in general. I an aspiring cozy mystery writer, though, so maybe that's just me! :o) Either way, a fantastic blog! I love everything about this blog, but especially updates on upcoming books, your writing process and personal travels. I would like to know more about where many of your plots come from and how much your characters resemble yourselves. I like everything, and find it all interesting. So more of the same! Love seeing vacation photos, personal photos... anything. It is nice to see how the books come about. I can't remember reading a CC blog that I didn't like. But I especially enjoy the blogs where we learn more about you ladies and your families and pets. I enjoy reading books written by friends, and it increases my enjoyment that much more to know that we share many interests. For instance, I love hearing about your pets - it seems like most of us share that interest. But like with any friendship, I also enjoy hearing about interests that we don't necessarily share It's also interesting in hearing stories about why a plot or character came about - it adds dimension to the story. Keep up the good work ladies. I agree that the blogs are always interesting. It is great to see pictures of your cats and dogs. I also, found the pictures of the house in progress to be interesting. Information about upcoming books, author signings, conferences etc. Background about books, why author chose to write a certain book or about a particular topic. What authors like to read themselves for pleasure. What or who influenced authors. You have a wonderful blog page gals...don't change a thing! I always want to keep ahead of the game when you shout out your newest books...that is what I like the best. Great comments! Thanks for all the input. It's nice to know we're on the right track. I love your blog for the type of things you already provide - making us feel like you're really our personal friend. I especially laugh over your funny life experiences, your gossip, the recipes, family/pet tales and of course, reading the comments from everyone else. This blog seems like a small coffee klatch where friends can come together. Keep it coming! I love your blog for all of the things you listed. It's always fun here. I have no complaints. I don't remember seeing a blog post I was unhappy with. I enjoy the variety of topics and cozy feel of hanging out together. Thanks for sharing with us, and keep up the good work! I love the blog posts with personal pictures and little tidbits about your lives. Love the pet posts too, as I'm a big animal lover. I really enjoy reading this blog and it's a fun little getaway during breaks at work. My favorite blog of each day. Sometimes funny, sometimes serious, lots of pictures and animals, and of course all about the books. Makes me feel you are real people just like us ;-) Don't change a thing. I enjoy all of the blog posts. I would be interested in learning more about each Chick's writing process.